Researcher/ Storyteller Brené Brown found during her years of study into vulnerability that it’s the birthplace of innovation, creativity, and change. Many businesses still steer away from vulnerability, fearing their imperfection. But those who embrace their stories (warts and all) often discover deeper connections with their audience and also with their staff. In this session we’ll get curious about your story (as an artist/ freelancer/ company etc) and investigate how effectively you’re sharing it with stakeholders, clients, and staff. Using storytelling tools, we’ll review your vision and mine for key stories. By the end of this session you’ll be empowered to build a new foundation for your brand experience and marketing strategy. Story-based tools to review and renew their marketing strategies and brand experience. By choosing to authentically share your own story (or your business’) you’re choosing to connect honestly with your audience. This shift helps move the broader conversation from straight up ‘selling’ to seeking to benefit those around you. Using story in this way sends a powerful message about how you’re interacting with the world going forward. 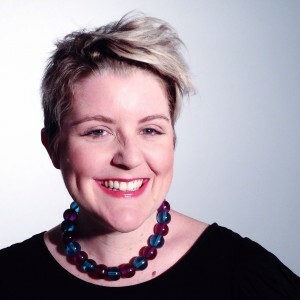 Merrilee McCoy is a self-described ‘multipotentialite’ with over 10 years experience in the creative industries. She’s passionate about the power of stories and of creativity to transform, to inspire, and to enrich lives. Merrilee’s own creative practice has taken her from improv, to mask making, completing a Bachelor of Creative Industries (Drama), exploring physical theatre, sketch comedy, storytelling, and now as General Manager for Melbourne start up, Trash Puppets. After spending the past 10+ years as an independent producer, marketer, and administrator, plus working a number of pan-artform festivals, Merrilee’s excited to bring that varied experience to help people tell their stories through her own creative consultancy. Connect with Merrilee on Twitter (@mezzamac) or on LinkedIn (@merrileem).